Some Southeast Alaska families have stayed with the tradition of helping loved ones age in place. Elders live at home, with children and grandchildren, instead of moving into assisted living or a nursing home. It’s a friendlier and lower-cost option for older residents of the region, whose numbers are growing faster than the state as a whole. As part of CoastAlaska’s Aging Southeast series, we talk to one Petersburg family with four generations living under the same roof. Elizabeth Tyner sits at the kitchen table in a red striped shirt, blue jeans and blue Crocs sandals. Her short white hair curled, her hands clasp a tissue because she has a cold. She readily talks about her life. Over the decades, she’s sold auto parts and worked at a thermometer factory. Her granddaughter, Melinda Cook, is ready to fill in the details. Cook knows her grandmother well. She has lived with Tyner for nearly two years and spent a lot of time with her growing up. Cook uses the word “natural” a lot. She sees aging as a natural process and family helping as part of that. For Tyner, she likes the busy house of four generations. When Tyner first moved to Petersburg in 2011, she lived in independent housing for seniors. She shared a two-bedroom apartment with a friend for $1,400 a month. Cook said that worked well for several years until the day her grandmother fell. “She didn’t pull the alarm. She laid on the floor for four hours,” Cook said. Tyner eventually called the family, which contacted 911. There were other signs that decision-making was becoming difficult. But switching to assisted living, including daily food service and as-needed care, would have cost about $6,000 a month. Petersburg’s facility takes Medicaid waivers but residents can have no more than $2,000 in the bank and no assets. That’s not Tyner’s case. She’s worked hard to build up a nest egg. But even that savings would only last a few years. So, she moved in with her family and now pays $500 a month for three caregivers, five days a week. “Just making sure she’s drinking water, getting meals, because we started finding that that was necessary,” Cook said. For Cook, having Tyner at home is the right thing to do. 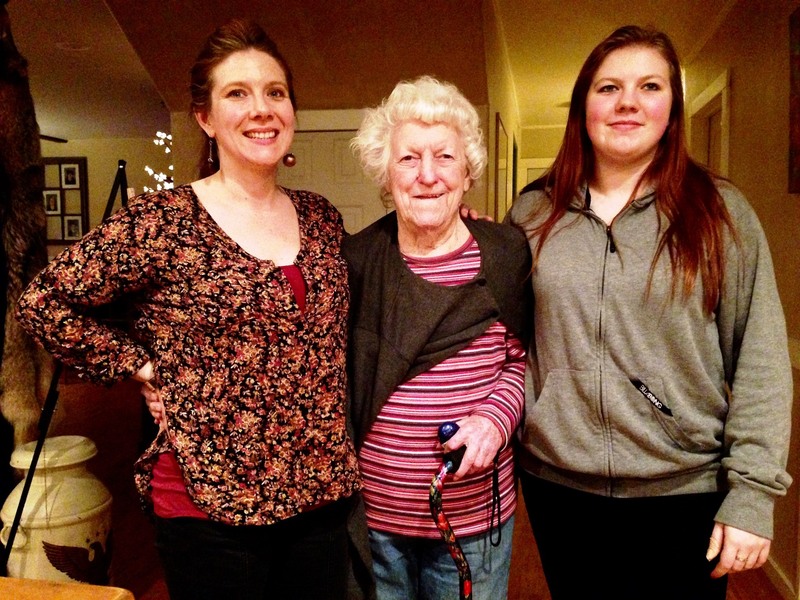 Her family has taken care of their elderly for generations. Like most of Southeast, Petersburg’s population is aging faster than Alaska as a whole. A recent borough study shows that in about 15 years, senior numbers will double to 28 percent. In the village of Kake, on the next island over, there are 80 to 90 elders out of a population of about 600. Most are Alaska Natives. The village has no assisted living or nursing homes. Families take care of their elders at home until they need medical help and have to go off-island. Many families rely on in-home caregivers. “I think living at home is what they want the most. They don’t want to leave their homes and go to assisted-living places,” said Juanita James, site manager and cook at Kake’s senior center, which provides lunch and rides around town. “They thrive better at home,” said Keith Smith, who works for Southeast Alaska Independent Living’s Ketchikan office. “I think that people live longer, their minds stay healthier when they are able to stay in the midst of their life like that,” Smith said. SAIL is a non-profit resource center that helps seniors and others with disabilities live at home and maintain independence. It has offices in Southeast’s larger communities and also serves more remote towns. SAIL helps clients problem-solve. Smith said oftentimes, that means giving advice on structural or architectural changes to a house, getting the right home health-care provider or even just knowing about the right tools. “One of the gentlemen I’m working with is just like overwhelmingly happy when he discovered the device … since he can’t bend over anymore. So there’s a special device that from 3 feet away you can clip your own toenails. That is huge for him,” Smith said. For Cook’s family, it meant moving to a house with an open floor plan and remodeling a bathroom. Although Tyner is mobile right now, there is plenty of room for a walker or wheelchair if it’s ever needed. The door opens and Cook’s 18-year-old daughter Shawnee arrives home from an evening workshop at school on financial aid for college. The teen’s 1-year-old is already asleep. Shawnee said it’s great her son can live with his great-great grandmother. “He knows that she’s the person to go to when he wants something to eat,” she said. It’s not always easy. Tyner’s dementia crops up every now and again, like the time she accused one of her great-grandsons of taking a box of hers. But, at least for now, the family agrees it’s better for everyone to be sharing life under the same roof. Also sharing space is Cook’s partner and her two sons—ages 14 and 20. That’s four generations in the same home.